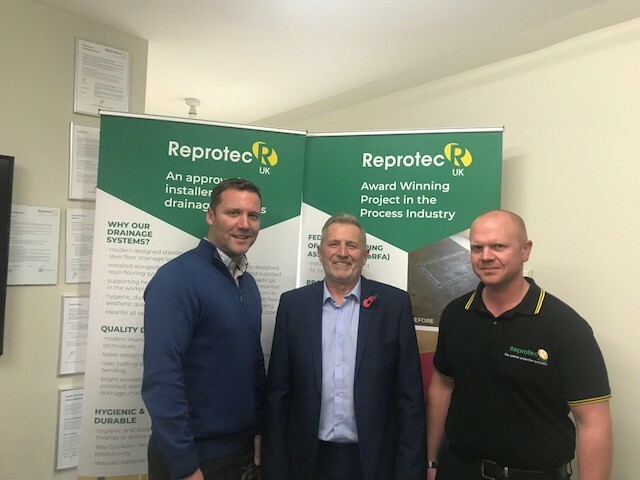 North East based Reprotec UK, specialists in resin flooring systems and bespoke surface protection technology, has announced two appointments. Mr Elliott Lindsay, who joined the company at the age of 16 years, has been appointed to the senior position of Head of Operations. In the time Elliott has been with Reprotec he has progressed from NVQ Level 2 in Specialist Floor Laying to NVQ Level 6 Leadership and Management. Also joining Reprotec is Trevor English in the role of Business Development Manager. Trevor has 17 years’ experience in sales and marketing.